Yesterday afternoon Tim, Luka and I headed out for a 16km run in the pouring rain. With the balmy weather of late, we certainly had nothing to complain about. In fact, it was the warmest December 28 in two decades: the 9.6 degrees Celsius was a daily maximum record for the day in Squamish, surpassing the previous one of 8.2 degrees set in 1991, according to local amateur meteorologist (and runner) Jason Ross. We ran past the Ravens Plateau subdivision and followed a trail along Crumpit Woods toward a forest service road that took us via an undulating route toward Quest University. Other than agreeing on a direction, we hadn't discussed a plan; wearing Mr Garmin it seemed, somewhat to my surprise, that our 16km session would allow us to complete a staple lap we hadn't run for at least six months (because of cougars in the area). This route usually takes us around 90 minutes, and we'd always thought it to be closer to 18km. It would be Tim's longest run since completing his first ultra, the Whistler 50, nearly eight weeks ago so he wasn't keen on a step beyond 16km. I might have been off with my estimates of distance occasionally, typically being more optimistic than warranted. Exhibit A from June 2010, according to Tim: loooong run. Yesterday Tim wasn't in the mood for anything longer than planned, but I managed to earn his trust on this one. His recovery from the 50-miler has included plenty of indoor rides on the wind trainer at home, a dozen 90-minute Bikram yoga sessions and daily walks. It would also be Luka's longest run in a while, though he didn't seem fazed at all. Nor did he protest. Once we reached Mamquam Road, we turned left to ease down the big hill (about 1.5km of free speed), and then followed the trail sandwiched between the river and the Squamish Valley golf and country club. Still hanging a left here, we had about 5km to go. After spotting a few bald eagles high up in the trees here, we passed the swimming pool at the Brennan Park aquatic centre, and then followed a nice flat section of the Sea to Sky trail for about two kilometres before turning left, and headed up to Hospital Hill along a steep-ish incline for about 700 metres. From here, we had a little under a kilometre left to our front door, a good thing as it was getting dark. All three of us were absolutely soaked, and so glad we got out for a solid 90-minute run.The route was a hair under 16km, so all's well that ends well. I had run in the Hoka One One Mafate, a shoe I like more and more each time it's on my feet, especially for easy and recovery sessions of between one and two hours. Tim and I both wore our beautiful jackets from IMJ Coaching, owned by our friends Teresa and Scott in Boulder. We didn't take a post-run photo:-). A record volume of training begins easy, or so it seems. In fact it never appears to get that difficult when you look at each daily session in isolation. Sure, there are the challenging workouts that call for half marathon-, or marathon-, race pace for a few kilometres; but these are done only once a week. Yet I know that my biggest challenge will be to sustain the regimen for the next four months. Yesterday I started what is meant to be a daily running spree of 130 consecutive days. One week away from embarking on an 18-week program that kicks off with a week of 104km of running, I have planned a relatively easy 90km in the final week of 2011, right between Christmas and New Year's. Easy, as in that this week has no speed sessions. It began with a 12km run at recovery pace/effort yesterday. I chose a route that for a large part follows a forest service road along the Stawamus River, and then veers onto a trail that runs parallel to Highway 99 and takes you to the bottom of the Chief. It's a lovely, mildly undulating run. It's also the road where a body was found earlier this year. While it was hard not to ponder this, I reminded myself that one body does not make this a creepy route; I focused on the more important fact that I was running along a road that offers access to trails taking you to some of the fabulous hiking and climbing that Squamish has to offer. It's a little bit like our former neighbours telling Tim and I about our home's previous owner's wife dying suddenly and unexpectedly of a heart condition in our house, before adding, "Geez, you look so much like her!" when they invited us over for the first time on New Year's Eve three years ago. I opted to consider the context of that remark one that had nothing to do with us, or our home. There is always more than one way to look at things including a focus on athletic performance; some people remark that my focus is 'inspiring', while I also get suggestions to go 'enjoy some skiing ... not just running'. Whether a runner is focused or obsessed all depends on your point of view. "These schedules are challenging right from the start and get harder as your marathon approaches. So that you can progress as the training increases in quantity and quality and to minimize your chances of injury, you should be able to complete the first week of the schedule without too much effort." "The schedules are presented in a day-by-day format... The main limitation with this approach is that it's impossible to guess the myriad of outside factors that may influence your day-to-day nonrunning life (assuming you still have one at this level of volume)." I, and many runners no doubt, often hear: "Oh, I don't have time for that." How would time be different for (non-professional) runners? We are all given 24 hours in a day. Anyone who reads this blog will either own a computer or have access to one; in other words, we are rich, fortunate, privileged people. That means we have a choice as to how we spend our free time; I choose to spend much of mine training for marathons. The flipside of that comment is an implication that a serious amateur runner is obsessed with, even addicted, to a pursuit most would consider irrelevant: What's the point of spending so much time and energy on running a few minutes faster, unless you're an elite athlete with a shot at a major title? Yesterday, as I had a brief rest on the couch after finishing those first 12 of the 2,170 kilometres I hope to cover in 19 weeks (an average of 16.7km a day), I read a section of Lore of Running in Chapter 8: Training the Mind that talks about "the psychological addiction of running". (Incidentally, it follows the section on "psychological benefits of running" which include a positive state of mind, reduced tension and anxiety, decreased depression, increased quality of life, positive personality traits, and improved mental functioning). "My conclusion then is that marathon runners come from that segment of the human population whose brains have evolved to reward prolonged, sustained activity of moderate to low intensity. Perhaps we are the direct descendants of that group of humans - the ancestral hunters - who outran their prey during many hours of pursuit. "Our reward was not the slain animals but the gorgeous feelings of tranquility and universal insight that the prolonged chase produced. Far from feeling tired, I suspect that this physiological response spurred the ancestral hunters with the desire to hunt each day, clearly an important survival strategy." A hunter wired to run, rather than an addict. Or a fighter. "Others... " writes Noakes, "were designed to protect the tribe from predation by wild animals and other marauding humans... Since fighting, and not hunting, was probably the more important activity of ancestral humans, so it may be that the fighting, and not the running, brain is in the majority of modern human populations." "[w]ithout the essential physiological basis, I believe that we would not be runners, irrespective of the seemingly plausible psychological explanations for our compulsion. I believe we run because the brain demands it and rewards us with desirable feelings and emotions when we follow its commands." Michael Sachs (among the authors cited by Noakes) wrote this 1998 Marathon & Beyond article "Too much of a good thing?" It also offers an "addiction self-test" created by the magazine's editor, Rich Benyo, also an author and runner. Click here to take the test - scroll to the bottom of the article. After ranking the first statement (Running is extremely important to me. I'm positive I'll be running for the rest of my life.) with a 10, I only agreed as strongly with one other, (Warm-up and cool-down are important, but it's what comes in the middle of the workout that counts). My overall score for the test was 52, which put me in the lower part of the "Fitness with a mellow bent"-category, only 12 points above "Approaching terminal mellow; better sign up for a race"-group. That's good to know. As I wrote a few notes in my running diary (a new habit, inspired by an Australian friend) last night, I realized that I'd had my last day off for a while; for about 130 days to be more or less exact. I find it scary to write this, as I don't want to jinx anything by doing so. I've never tried a daily running routine, though as a five-time Ironman finisher I am very familiar with large training volumes, so I hope the body will be OK with my regimen for the next four months as I prepare for the Vancouver marathon. In the past 6-1/2 years of marathon- (and ultra-)running, my body has held up well as I've learned to look after it; guidance from a reputable coach for five of those years, getting massages when needed, and taking a day of rest when my body or mind was asking for it, and resting up after key races before jumping back into training have all been part of my routine. Since May 2010, I've been following my own regimen, picking and choosing from what I've learned over the years as a triathlete and runner; and decided it was time to up the volume. It's been exciting to do as I feel like doing, and finding that my body and mind seem to agree with it: I'm enjoying the training and have not suffered any injuries. Hopefully they will also agree with the new regimen, starting on January 2nd with a week of 104km and building to a peak of 140km, as per an 18-week schedule from Advanced Marathoning by Pete Pfitzinger and Scott Douglas. I am very much looking forward to this new phase in my training; there are no guarantees, other than that it will be a challenge, which is exactly the point. In Lore of Running, Tim Noakes describes what he calls the 15 Laws of Training. Under the heading Law 6: Achieve As Much As Possible on a Minimum of Training, he writes, "If I had my running career all over again, I would seldom run more than 120km per week, the maximum training distance suggested by the University of Oregon's Bowermann [sic] and Dellinger. "I would see what I could achieve by maintaining that training load for a few years. If I still wished to improve, I would then increase my amount of speed training and perfect the peaking technique. Only when these methods failed to improve my running would I consider further increasing my distance." It's all about a long-term perspective. I may find that the daily running routine and a weekly mileage of between 104km and 140km suit me perfectly. Then again, it may not and I'd likely drop down to what I did in the second half of 2011, running between 88km and 113km a week. The key is to try and find out. An enjoyable 18km run in the pouring rain on Christmas day brought my mileage for this past week to 80km. Initially I'd planned on doing a 24km for my long run this week but changed my mind when I headed out shortly before 11am. That 18km, at about 5:00/km, turned out to be the perfect choice. Time flew by, as I was in a relaxed frame of mind and my body felt good. My legs propelled me along in a comfortable rhythm that never felt strained. As I've been getting ready to start my Vancouver Marathon preparations in earnest on January 2nd with a week of 104km, I've had to shake off the shivers of doubt coming and going in the past few weeks as to whether I'd be ready in time. Yesterday's run made me feel confident that I will be. Aside from cars driving back and forth to, I imagine, various Christmas day gatherings, it was quiet. I crossed paths with one other runner, a woman heading in the opposite direction. We exchanged a smile and a Merry-Christmas greeting. At least a dozen eagles watched me run along the 500-metre stretch close to where Highway 99 crosses the Mamquam River. A lonely, yet stately stork hung out in the same area, too. My thoughts ebbed and flowed. Aside from a sudden confidence about my ability to tackle the training ahead, I remember one other major thought: What if Jesus had been a runner? Would those who pray do so on the run, instead of folding hands and bowing heads? Would Christmas include hordes of people running, instead of churches bursting at their seams with the folk that only attend once a year? Would the Catholics confess to their sins during a speed session, or perhaps a long one, purging as they'd run to exhaustion, redemption and salvation? Running as religion is something I would not necessarily denounce as I believe running forces each runner to look within herself for honesty, and truth. We may not always be ready to see it, or admit that we do, but we get the occasional glimpse, a deep if only short-lived sense, of what it might mean if we would truly believe, with absolute faith, in the best of ourselves. As runners we often focus on our shortcomings and overcoming them as we aim to get faster, better. We'll need to achieve such and such and do this and that before we expect to have faith in our ability, our being 'good enough'. But sometimes, on some runs, we don't need anything beyond the current moment, only the here and now, to feel with our entire being that we have let go of judgment and that being all that we are in the present is all that we can and care to be right now. If you're looking for some great reads on running, check out this Huge List of the Best Running Books and Movies on the Runner's World website. 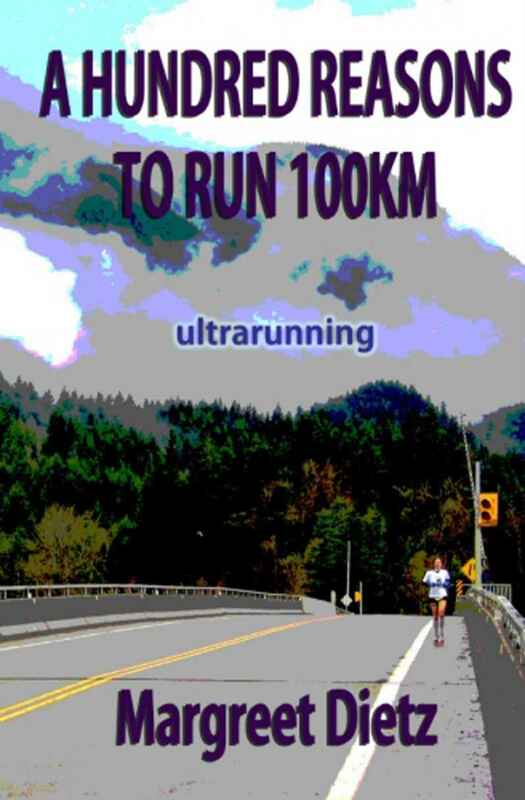 My book A Hundred Reasons to Run 100km is included (under the Ultramarathon titles). Among the top questions I get asked is whether I 'have a training program lying around'. Most of the time I am thrilled to hear this request as it invariably means the person asking is starting to run or keen on improving their recent exploits as a runner. Unfortunately, the programs I have are mine, i.e. training routines aimed at my personal goals based on my experience and ability at that particular point in time. It will never match yours because everyone is different. My top recommendation for novice and/or inexperienced runners is to invest in a running coach—not a random personal trainer but someone with a track record in the sport, both as a runner and with guiding runners specifically. I will often recommend people get an online coaching program from Australia's Pat Carroll, who ran a 61:11 half marathon in 1994 and a 2:09:39 marathon in 1995 and guided my running from June 2005 until April 2010. If you think this post sounds like a paid ad, it's not; I simply learned a lot from him and recommend him without any hesitation. He's knowledgeable, positive, and takes a conservative approach to training; speeding up to a 3:07 marathoner under his guidance, my biggest training week with him never exceeded 90km, if I even ran that. Most of his sessions aim for time, rather than distance, to ensure you are focused on spending time on your feet, rather than feeling stressed about having to complete a certain distance at a pace that is too fast. There's plenty of speed work too, with two short but challenging sessions a week. After getting to know the running history, or lack thereof, of each new client, Carroll devises a training program based on their experience and goals. He makes no promises when it comes to results and also warns against coaches who offer guarantees on finishing times, or running a marathon in three months. He recommends anyone seeking out a coach that they make sure this person has experience in running themselves, not necessarily as an elite athlete. “It’s important that it is someone who has been involved in running, maybe not at the top end but definitely a runner. Because running is such a stressful action to put your body under, you really have to understand and get a feel for where the person is at, their level of development and what they are going to be able to handle without falling apart," Carroll says in Running Shoes Are a Girl's Best Friend. As most of us are putting the final touches on gifts for Christmas, why don't you invest in your 2012 physical and mental wellbeing by buying yourself a few months worth of training with a reputable coach? You won't regret the investment; Carroll, for example, offers 8-week programs for $105 (Australian). That's excellent value for guidance by one of Australia's best distance runners ever. It's certainly cheaper and more fun than having to fix a running injury suffered because of inexperience and a lack of knowledge. As Tim Noakes writes in Lore of Running, "Running injuries have a unique feature: an identifiable and treatable cause. And until that cause is rectified, the conventional approach—the rest, the drugs, the injections, and the surgery—is an expensive waste of time." More often than not, the cause of injuries is running too much, too often, too soon. Ask any runner. That's why it's worth investing in a training program tailored to you. When I left at midday for my 16km run, it was a beautiful sunny day with the temperature at zero degrees. Frost was still covering many roofs and the sides of the road. A stunning late December day for a nice easy session. My mind, however, was not as sunny. I was feeling a little disheartened about my writing. 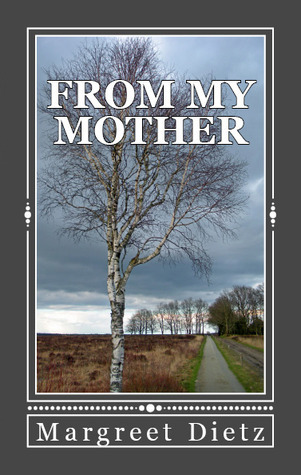 It's been a good year in many respects, during which I completed two books, both of which I began in 2010, including my first novel, From my Mother (October 2011). I also edited and published two books: Tim's Sub Nine: History's Fastest Ironwomen and Teresa Rider's Reconnect With Food: Eat Your Way to Triathlon Success. All great stuff. It's normal to take a little time to get started on the next book again. After all, there is the small yet crucial matter of telling the world about the book you've just finished. This is where it gets tricky; unless people know about your book, they don't buy it. If no one buys it, everyone else will think it isn't worth buying. Yet marketing a book takes time, effort and dedication, just as much as writing the thing. And this is where I tend to favour writing, as I always believe my next book will be even better than the previous one. It's very much like with the marathon; I'm thrilled with a 3:06 but I know I can go faster, and can't wait to get started working on it. As an author, just like a runner, you need to have faith. Confidence in your ability to do well and to do better. But the big difference is that the finish line for an author is not as clear cut as it is for the runner. Sure, there's the New York Times bestseller list, the Pulitzer and Giller prizes, big sales etc. But that's kinda like winning the Boston Marathon. It's OK if my books so far wouldn't translate into a big name marathon victory. That time will come, if I keep the faith and practice my writing daily, as I do. But I also need to stay confident that the quality of my work compares to where I am at in my running; the 3:06:06 PR I ran in October translates to an age-graded 2:55:35 and a score of 77.12 percent (80% is national level, 70% is regional level), according to Runner's World's age-graded calculator. Confidence builds confidence. The reverse is true too, especially for me; doubt breeds more doubt. Before I went for a run today, I came across the following post, which struck a chord with me. 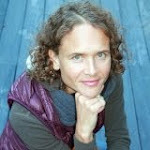 Jody Hedlund wrote about the ‘crises’ that authors can experience, triggered by "a bad review, a low royalty check (or NO royalty check), an unexpected or difficult rewrite, low sales figures, not getting reader emails, dismal Amazon rankings, long dry spells without hearing from your agent or editor, bewildering advice, etc., etc., etc. "The trigger unleashes a gush of emotions and questions. We start asking ourselves things like: Why do I strive so hard? Why am I putting in two hundred percent when there’s often so little to show for it? Is it really worth the pain, the sweat, the tears, and the uncertainty?" Woe is me? I know. But that’s the mood I was in. I turned up my iPod a little louder so I didn't have to listen to the droning doubts in my head. My legs, and heart, were heavy. On some days I lose faith in the struggle to become successful as an author. By 6km my iPod died. So I was alone with my thoughts, without music to distract me, though I have to admit that Linkin Park isn't - sometimes - the most uplifting band to listen to. The motion of running, as always, calmed me. There's purpose in putting one foot in front of the other, and a sense of purpose gives a sense of productivity and forward progress. Those bring hope. That's when running reminds me always that when things seem, or are, hard, you just have to keep going. I felt much better by the time I got home, 16.8km later. Today's run brought the total for the past four days to about 52km, and I am planning on a 10km recovery run tomorrow, before a 24km session on Christmas day. Christmas, or not, Sunday is long run day :-). A six pack, really? Yes, though I realize I won't get rock-hard abs in one week, strenghtening my core is a key goal for the coming four months. Vanity has nothing to do with it, it's all about performance. A strong core is important for runners, and can help speed up times. When I run, I can tell that my core is unstable, i.e. not strong enough. I know that my form deteriorates in the latter stages of a marathon. As I am hoping to pull out all the stops by ramping up my training volume to a record, I also should look at this important aspect of training that I have thought about adding to my routine but haven't done in a consistent manner so far. In the past I have had, and followed for short periods of time, great advice from coaches and physios on strength workouts, both as a triathlete and as a runner. Twice I followed a great weight training program from Paul Huddle and Roch Frey's Start to Finish, and was amazed at the improvement in as little as six weeks. Huddle and Frey write, "With a race desperate to exhaust your muscles from nearly every imaginable direction, having logged proper gym rat time is an integral defense... [T]wo smartly scheduled weight training workouts per week, during the first three phases of your buildup will pay off big in power, injury prevention, and in the fluidity of your race day transitions." Without a gym membership and access to weights, I have yet to find a routine at home I'll stick with. An important barrier is that I simply haven't made the extra time. As you can imagine, time and energy are always in short supply when you are training for a marathon. A stronger core might make a key difference on race day, so it's time to commit to a short routine that strenghtens it. As I am getting ready to start an 18-week schedule from Advanced Marathoning, I am looking at following their guidance on strenghtening my core, too. Pete Pfitzinger and Scott Douglas write: "When you run, your trunk acts as a fixed base while your legs work as levers relative to that base to propel you forward. If the torso and pelvic muscles that form your fixed base are weak or fatigue quickly, then you can't maintain an efficient body position while running." The book includes two core strength training programs, of which I'll aim to follow the first; it has five exercises, recommending you do two sets of these three times a week. Yesterday's morning was covered in a blanket of rain, and so was most of the day as it turned out. Good news for the runner heading outside in December in Canada, even on the mild west coast; I decided to take advantage of the lack of frost when icy patches which can make winter runs anything from unpleasant to impossible. With a couple of Australian friends visiting this weekend and a Squamish Titans Santa Shuffle on Sunday, I had two more reasons to secure this week's long run on a Friday. Only two weeks separate me from beginning the daily training runs leading up to the Vancouver Marathon on May 6, and I have no time to waste on getting myself ready for that training regime, which will be my biggest ever. Having said that, the real preparation has been in the months of training for the Bellingham Bay Marathon, where I upped the weekly volume above 100km, also a first, and came out both unscathed and happy. The past three months have had relatively little training as the two marathons and 50-miler demanded I take a break from the rigours of running. At least, that's what I believe and by now I have learned to trust my own judgement when it comes to training. So far this week, I had only run 21km on Monday at a regular long run pace, which I aim to keep between 4:45 to 5:15/km, mostly closer to the second, and had done a 5km tempo run on Wednesday morning before flying from Amsterdam to Vancouver. I am terribly jetlagged, getting up yesterday morning at about 3:30am, wide awake. I made the most of it, writing but I worried about the time my eyes would start getting heavy in the evening, hoping to keep them open long enough to prepare and have dinner with our friends from the land down under. By about 8:30am I set out for my run, wearing Mr. Garmin for the first time in a month. The cloudy skies made it hard to find a signal, and by the time the display came alive, it said I'd already covered 2.6km, which made sense. While my body felt tight and tired, my legs also felt fresh and comfortable at just under 5-minute/km pace. As I have grown used to doing, I ran north, from Valleycliffe to Brackendale, taking much of the new Sea to Sky Trail that is being readied. It's a pretty flat route, that parallels the highway, surrounded by mountains - a vast difference from the views I had running on the reclaimed lands of the Dutch polder in the past month. I brought the iPod shuffle I bought just before the November 5 Whistler 50 for the occasion; so far it only holds two Linkin Park albums (A Thousand Suns and Minutes to Midnight). I haven't tired of the songs yet, and the lyrics still amuse me as they remind me that during the Whistler 50 the band sang things like "If you feel cold and lost in desperation..."
As my pace remained at or under 5:00 per km, I reminded myself to check I wasn't pushing the pace. My mind wandered to one of the first pacey bike sessions I did with my coach back then, John Hill in Sydney. On the weekend, Hill's group of triathletes would often ride from Centennial Park in Sydney's eastern suburbs to Kurnell which offered a perfect place for some so-called hits - the group would ride a certain number of laps at a steady pace determined by individual heart rates. All Hill's training was based on heart rate, using four zones. Most of the training, including cycling, was done in the first zone, E1. We'd often ride both Saturday and Sunday, and one of the days would include hits, i.e. a certain distance in the second zone, E2. The next zone, E3, was usually reserved for Tuesday morning sessions around Centennial Park, which everyone knew were going to hurt; Tuesday got a different meaning because of those training sessions. But on this day, I am sure it was a Saturday, the group had ridden to Kurnell where we would do our hit of three 20km laps on a route around this quiet suburb which still hosts a sprint triathlon series and is the training ground of the likes of two-time Ironman world champion Chris McCormack. I was feeling good, and set off on a pace that left even the strongest female rider of the group in my dust. Wow, I was awesome! Of course it only took a few kilometres before my heart rate soared way above my E2 zone but by then I didn't want to slow down. Pride took over, until after about 25km, with 35km left to go in the hit, exhaustion did. I finished the remainder of the session, both the hit and the ride back home to Centennial Park in a daze. Recovery from that session took time. All my training in the next couple of weeks was affected by a deep tiredness following that surge of adrenaline and a lack of experience with pacing myself. It was a good lesson. When you're fresh, it's easy to get carried away in your training, whether just by a little bit or by a lot as I did that day. If you go too hard in a session, harder than is asked for, you'll pay for it in the following sessions. That memory came flooding back to me yesterday, as I saw my pace stay at or just under 5:00/km, instead of drifting closer to 5:15/km. Training is about teaching your body to run at a faster pace with similar effort. It takes time. I was, and am, hopeful that the increased volume I did in the lead-up to my last marathon(s) left me with an ability to run just that little bit faster with the same, or even a little bit less, effort. Yesterday, even in my overall fatigue from travelling, I felt that my pace was a touch faster with similar effort, yet I guess with that memory I reminded myself that my body is fresh now and that once my volume increases, it might take more effort to sustain the same long run speed as yesterday's. It took me exactly 2 hours to run the 24km in a session that felt fast and long at the same time. I had a mini Clifbar and a small gel flask of water that I refilled once for my longest training run in three months. Vanochtend sliep ik uit en stond pas om kwart voor vier op. Da's al drie uur beter dan de vorige nacht, net na aankomst vanuit Amsterdam in Vancouver na een maand bij mijn ouders in Nederland geweest te zijn. Als schrijver houd ik van vroeg opstaan, met een bak koffie achter mijn buro voordat de rest van de wereld wakker wordt. Gisteren had ik, zoals gepland, niet gelopen. Wel gewandeld, samen met Tim en energieke hond Luka langs een aantal van onze favoriete paden in de buurt, zoals The Graduate, Seven Stitches en Summer's Eve in Squamish. We hebben precies 1 mountainbiker gezien gedurende onze wandeling van zo'n 45 minuten. In Squamish ligt de temperatuur al een dikke maand net rond het vriespunt; dat was duidelijk te zien aan de bospaden waarvan de meest vochtige een mengeling van grond en ijs waren op een zonnige December namiddag. In deze tijd van het jaar is gladheid altijd een van de dingen die mijn training in het nauw dreigt te brengen. Ik loop het liefst buiten, en hoop deze winter niet tot een tijdelijk gym lidmaatschap, en dus de loopband, gedwongen te worden door sneeuw en ijs. Gelukkig is het kwik vannacht boven het vriespunt gebleven. Na een herstel periode ben ik mijn training weer aan het opbouwen zodat ik het nieuwe jaar kan beginnen met de voorbereidingen voor de Vancouver Marathon op 6 mei. Herstel was nodig na twee marathons en een ultra van 50 mijl, 80km in een periode van zes weken; op 25 september liep, en won, ik de Bellingham Bay Marathon in 3:09:40 op een stormachtige dag, twee weken later liep ik de Victoria Marathon in 3:06:06, een PR voor het eerst in 3 jaar en snel genoeg voor de masters titel, gevolgd door de Whistler 50 op 5 november. Ik had nooit eerder twee marathons zo dicht op elkaar gelopen, en het resultaat in Victoria was een goede verrassing, nadat de wind in Bellingham niet mee had gezeten. Die 50 mijl heb ik in 7:57 heb uitgelopen, waarbij in de laatste 25km duidelijk werd dat ik niet voldoende hersteld was van die twee marathons in de vorige zes weken. Toch was het snel genoeg voor de overwinning in mijn leeftijdscategorie. Sindsdien is mijn herstel van dit experiment goed verlopen, denk ik. Zoals altijd na een marathon, zette ik mijn training op een zeer laag pitje, en nam vooral de eerste week het pannetje helemaal van het vuur. Tussen die drie races door heb ik ook vrij weinig gelopen, maar wel dagelijks gewandeld. Een energieke hond en de prachtige bospaden rond Squamish zijn altijd een goede motivatie. In de laatste maand heb ik mijn training weer langzaam maar zeker opgepakt. Deze week hoop ik rond de 75km te lopen; dat is wel nodig want over twee weken begint mijn 18-weekse schema met een week van 104km, bereikt door dagelijkse training -- iets wat ik als loper nog niet eerder heb gedaan maar me wel degelijk op voorbereid heb. Hoe mijn lichaam, en geest, daar op reageert is uiteraard de vraag die het spannend en aantrekkelijk maakt. Ik ben ervan overtuigd dat ik sneller dan 3:06 kan; het is een kwestie van zoeken en vinden van de manier om dat naar boven te halen. Een kwestie van geduld en urgentie. Een kwestie van geloof en twijfel. Een kwestie van doen en laten. In de komende twee weken is mijn training nog flexibel. Voor vandaag had ik 14km gepland, gevolgd door 10km morgen (zaterdag) en 24km op zondag. Maar met de relatief warme temperatuur van vannacht (dus geen gladheid) en gasten uit Australie die vanmiddag aankomen en het weekend blijven, denk ik dat ik vandaag die 24km ga lopen. Dat zou mijn langste trainingsloop in drie maanden zijn, en dan heb ik die in ieder geval in mijn zak. Op zondag heeft de Squamish Titans multisport club, waar ik lid van ben, een Santa Shuffle in kerst pyjama georganiseerd. De afstand ligt rond de 10km, nog een goede reden om vandaag mijn duurloop af te werken in plaats van zondag er dingen voor of achter te moeten plakken. Soms, als flexibiliteit mogelijk is, is het goed om belangrijke trainingen veilig te stellen door ze heen en weer te schuiven, mocht er een risico zijn dat deze in de knel komen door dingen zoals weersomstandigheden of sociale activiteiten. Een marathon-lopende meid is op haar weekend voorbereid. Meestal, vooral in de komende vier maanden, is het trainen voor een marathon een kwestie van prioriteiten stellen. Wie roept, Daar heb ik geen tijd voor, krijgt daar zeker gelijk in. Wie tijd maakt, heeft tijd; dat geldt zeker voor de voorbereidingen op een marathon. Last week my plan was to run about 60km, as I am ramping up my mileage to start my biggest training volume ever on January 1 in preparation for the Vancouver Marathon. I count my weekly mileage from Monday through Sunday, and - alas - last week's was only about 35km. This Monday, I ran 21km which was my longest run, aside from two marathons and a 50-miler, in three months. I very much enjoyed it, which is a good thing, given that soon my mid-week medium long runs will exceed that distance. On Tuesday I opted to spend time I could have run to join my dad and doggy Thara on their morning walk. On Wednesday, yesterday, I was set to head home to Canada from the Netherlands. My parents and I had planned to leave the house at 10am to head for Schiphol, and I didn't think I'd be able to make time for a run. Just in case, however, I left out some running gear. And my first pair of New Balance REVlite 890s were staying in the Netherlands, as they are completely worn out, so those weren't packed either. It was raining hard when we got up at 7am on Wednesday. My parents and I had breakfast, before my dad headed out to take Thara for a wet walk in the dark before our departure to Schiphol. With a long day of sitting ahead as it takes 9-1/2 hours to fly from Amsterdam to Vancouver, I decided to squeeze in a little run after all. My gloves and hat, which I'd worn nearly every run in the previous 3-1/2 weeks, were already packed. So were my running socks, I realized. And I wasn't going to reach for the bottom of a bag that was thoroughly stuffed so that everything just about fit. After seeing that her questioning the wisdom of a morning run in rain and darkness wasn't going to change my mind, my mum suggested I wear an old T-shirt I was going to throw out over a running top, and a pair of Nike tights that had seen better days, to avoid having to pack wet gear in a bag already at the max 23kg. I never run without socks. But it was fun to put my bare feet in running shoes, as it matched the lack of gloves and hat. With the mercury close to zero and the usual polder wind, my body decided instantly it was going to be a tempo session today. Twenty-four minutes and a very solid 5 to 5-1/2km later I was back in the door, my cold hands having a little trouble undoing the three knots I'd tied in my laces. My shoes were absolutely soaked, and so were my clothes, as I enjoyed the freedom of purposely running through the deepest puddles of water as I raced two laps around my parents' neighbourhood in the semi-dark December morning. I was tired too from that tempo run and so glad I'd squeezed in that session; you don't need hours to get a quality and fun training run. Thursday has just begun in Squamish, as it's 1.46am. After flying from Amsterdam to Vancouver, I arrived in the afternoon; Tim and doggy Luka picked me up by 4pm and we got home about 90 minutes later. Door in Dronten to door in Squamish travel time had taken about 16 hours, so I was tired but there was plenty to see. Tim, who loves Christmas, had already decked out the house in the outdoor lights that we apparently bought last year. There's a blue string along the front of the house, and a white string around the front door. Inside, there were stockings, a red and a white poinsetta on the dining table, the nativity set he brought from travels to South America before we began dating, and various other festive bits and pieces. There was another surprise, too. Tim had told me he was working on a painting, but hadn't given any more details. As it turns out, his canvas was the door of my office: the result was inspired by Rosy-Fingered Dawn at Louise Point (1963) by Willem De Kooning, the Dutch-born American abstract expressionist who is one of my favourite painters. Tim's door painting looks awesome! I was sad to leave my parents, it's always a tough goodbye when there's a vast ocean separating you. But it is also good to be home. And just because I can, I am having a coffee as I write this at my desk in the office with my new abstract expressionist door at 2am. I'll aim to head back to bed shortly. For those living abroad and still able to visit (one of) their parents, spending time at 'home' is always a strange and mixed experience. At least it is for me. I love going back to the Netherlands to stay with my parents and try to go for a few weeks when I can. This visit was 3-1/2 weeks, and time has flown by. My parents no longer live in the house, or the town, where I grew up. So I have no nostalgia about the place itself where they live, other than the unmistaken Dutch-ness of it. It's only 30km from Harderwijk, where I did grow up, living there from the age of 2 until I swapped the parental home for a student one in Deventer at the age of 19. My parents have always taken a strong interest in my life, and their door is always open. They have supported me in my decision to live overseas, even though they prefer I didn't. Goodbyes are never easy, and I am certainly not looking forward to the one at Schiphol tomorrow. You never know when you'll see them again but it's likely to take at least another year, if all remain healthy. They have always come to visit me; in the various places I lived in the Netherlands of course including Rotterdam and Gouda, and in Brussels, later in Toronto, and even in Australia. Since I moved to Canada at the end of 2007, they have visited me twice. If it wasn't for my 95-year-old grandmother, who was recently diagnosed with dementia, they would have been to Canada already a third time as my sister moved close to me earlier this year. A friend from high school asked me recently what I did during those 3-1/2 weeks here in the Netherlands, stunned I could stay that long with my folks. As I prepare to pack my stuff today, I wonder if I did enough. Did we talk, say, enough? I always think we could have said more. Did I show enough interest in their lives, and did I share enough about mine? Did I do enough? Did I help where I could? My mom at 71 and my dad about to turn 70 this month don't look and act their age in many ways. Active, they are always doing something and are independent. My help is usually contained to the washing up, cooking (though most help is declined), and some computer stuff. I 'helped' with the Christmas decorations but it was all about taking part and they'd have been more than fine without me. All that can change on a dime; it has happened to friends and acquaintances on an increasingly regular basis, and family hasn't been spared either. I know my parents certainly don't take their health for granted, and I don't either, theirs or mine. No one knows what tomorrow brings; whether you live close to family, or abroad. But living a 10-hour flight away always leaves me wondering; have I made the most of those measly 3-1/2 weeks with them? Will I see them again, and when, even where? While my grandmother's quality of life is diminishing with the increasing amount of time she's confused, most frustratingly so about constantly misplacing everyday items like house- and mail box keys and teeth, she has a very strong will to live, right along with a sense of humour. Much stays the same, and just as much, if not more, changes especially when we move geographically. Family relationships are as fluid and dynamic as they are stable and rigid. We see our closest relatives in a certain light, a habit that has formed over years and decades. Living overseas, that habit is broken as we spend time with our family via phone, Skype and email rather than in real everyday life (though one can argue those communications are a way of life, too). We live in context; when our setting changes, so do our circumstances and the way we live our life. I've often downplayed these differences, taken my choice to move and stay overseas as a simple fact. But each time I come back to the context of the Netherlands, and my parents' home, I cannot ignore the fact that what is 'normal every day' to me isn't what it would have been, had I remained here. I would be a different person had I chosen to stay in the country where I was born and raised. No one bats an eye when I open my mouth, though think it odd when I struggle with finding the right euro coins to pay in a shop. Nothing in my communication seems to instantly reveal that I am in many ways a stranger here 'at home', as it apparently still does back in my real home, Canada. As a writer and runner, I bring much of my everyday life wherever I go. When I go to the country where I was born, and speak my mother tongue, I feel like I am thrown back to a person that still is in some ways, and yet has changed so much that she is no longer there. My life has changed - I have changed - more than I believe I am able to express to my parents. Then again, the same could be true for them. I think I know, and understand what's going on in their lives. Perhaps they do understand mine too. A visit like this reminds me how important it is to stay in touch, to reveal the simplest things that go on every day so that they are able to see me in the context that is my home, that is me. Unless you plan to fit your training into your days, it simply doesn't happen. This past weekend I had thought of doing a 10km run, and a longer, 20-ish km. A joint run turned into a chat over coffee, while the rest of the day was also full including with a Christmas performance by a local choir that couldn't have been more Dutch (I am talking arm in arm, swinging left to right, and back again, while singing along to songs in 1,2,3-rhythm. The choir consisted of at least 40 singers, including about 10 guys, and was accompanied by three people playing accordeon, a bass guitarist and a drummer. Aside from a few grandchildren, I was easily the youngest in the audience which had a surprising number of guys - I assume husbands of choir members, though they were happily singing along. It was a fun afternoon with my mom. On Sunday, my 95-year-old grandmother came to visit my parents' home; I drove an hour pick her up, and back to my parents' place, where we had a great lunch and afternoon, before my mom and I drove her back home at night, another 2-1/2 hour round trip. A fantastic weekend, but no running. As a result, my mileage for the week didn't get beyond 35km, a little short of the 60km I had had in mind. So this morning, Monday, I made sure to get out for a long-ish run. I'd used gmap pedometer to map out a square that took me from Dronten, to Biddinghuizen, and back. It's a funny thing about running in de polder to pretty much see the entire 21km lap that you're going to run. It's comforting and intimidating at the same time. The weather was, again, surprisingly good, and it didn't take long before I put my woolen hat in the back pocket of my beautiful IMJ Coaching shirt, and my lightweight black Hema running gloves joined it soon. My iPod had run out of juice but it didn't matter. After 30 minutes I was in a rhythm that made me think of an unstoppable train so I only had to stay along for the ride. I was back in about 1 hour 45 minutes, and had a quick shower before rushing off to get my second pedicure during this visit. She asked me if I enjoyed my break from training and was a little surprised that a 21km run was considered a break. Apparently my feet are somewhat on the mend, though she urged me to find someone back home in Squamish, too. I can't believe it's almost time to leave the Netherlands for Canada again. It's been a great visit. Having said that, I am also looking forward to sinking my teeth in writing a new book and training for the Vancouver Marathon. After happily enjoying my day without running yesterday after all, I headed out for an easy 10km this morning just before 9:30am. It was a relaxing run, during which the only effort I had to make was to slow myself down now and then, as it was meant to be an easy session. I took a route that followed both concrete and soft paths, divided about 50-50. My parents and I had a quiet breakfast, after I had gotten up a little earlier to make progress in the novel I am reading by Dutch author Abdelkader Benali, Zandloper (Sandrunner). As I am already leaving in four days, and still have another Dutch book I'd like to read before then, De Mens als Duurloper (Man as Distance Runner) by Jan Knippenburg, I wanted some quiet time to read before the rest woke. The day ahead was already planned, from start to finish; I didn't need to think about it. After reading, we'd have breakfast, then I'd run. My run was scheduled, simple. Then we'd leave to visit my grandmother, an hour's drive one way, followed by a visit to an aunt I hadn't seen for several years in a village nearby. There's an easy simplicity to a day that is already taken care of in terms of activities, especially if they are familiar, yet very different from the usual routine and leave room for flexibility. I didn't need to wonder how to make the most of the day; I only needed to do it. I don't recall what was on my mind during my run this morning, probably because my mind was at ease. I briefly considered the cold I heard my aunt had when my mom called her this morning; I didn't want to catch it just as I was ramping up my training. Not that one ever wants a cold but I especially do not want on now. Training has begun, the training to be ready to start the real training for the Vancouver Marathon. The real training as in the new program that I will follow. The program with record volume (for me). The program that is new, and still familiar, and leaves flexibility. From today, until the day of the Vancouver Marathon on that first Sunday in May I know exactly, to the day, each session that I will do. That is a thought I like. It brings hope, possibility and peace of mind. "There are no training schedules," he said. My heart sank. Runners know what I mean when I stress the importance of a training schedule. We long for training schedules, always better training schedules that are tailored to us, suit us better than our life partner. Without a schedule you don't head out the door, so only a runner understands how disappointed I was, somewhat numbed too, when he told me that there was no such thing as a training schedule. I am not sure that my new training schedule fits me better than my life partner, but I believe it is a better program, but only because I am a better runner now than when I began the previous schedule. In any case, I am starting to get very excited about following it as of January 1. There's a type of weather in the Netherlands called veranderlijk, also wisselvallig, which means changeable. Today was exactly that. As I had my morning coffee in my parents' sunroom reading Zandloper by Abdelkader Benali at about 8am, torrential rain pelted down on the ceiling window. The clouds were too thick and heavy for the sunlight to arrive as it should by this time in the morning. I couldn't help feeling reluctant towards the 10km run, an easy jog, that was on today's schedule. Even when the sun had made it through the cover, also scaring away the rain, I had that familiar sense of the blahs about today's session. It happens, for various reasons. This time it was in part because of the early rain; it felt like a day to stay inside. I knew that today's struggle for motivation to head out the door was probably also because of the pace at which I had run my recent sessions, faster than I should right now to keep up with my mom's bike speed. Even a few seconds per kilometre too fast for a couple of workouts can make the body and mind resist the next session. But I need to run; I want to run. It's time to commit to the program again. In three weeks, I'll be running a 104km week, and my body needs to prepare. So I promised myself that I'd head out for an easy run, and that I could limit it to 6km if the mental weariness failed to disappear once my body was warmed up. That thought felt much better; I can always deal with a relaxed half-hour jog. Mentally and physically. With a few things on my mind, as I headed out under moody skies, it took only 26 minutes for the mental chaos to transform into the peaceful apparent nothingness that each runner knows and loves. I never stop marvelling at the way that simply happens. With my mind at ease, my body was too. A smooth rhythm and a pace only a few seconds per kilometre slower than in the past few sessions, I felt like I could run forever as I followed an unpaved path around the outskirts of Dronten. Dark purple skies and tall trees planted in neat rows were lit up by the sun. Crazy clouds piled on top of each other were part of the beautiful vista. By then I decided that instead of the 10km I was meant to do, I'd run the 13km on tap for Friday, swapping the workouts. Not long after the rain came down again, long enough that I could feel the water on my skin through my clothes. I ended the session with eight 100-metre strides, and felt completely reenergized towards training by the time I arrived back home after the 75-minute run. Tomorrow is a day off, and I am almost sad about that. I guess that means more energy and enthusiasm for Friday's run. Recently I did a book giveaway through Goodreads for A Hundred Reasons to Run 100km. Three of the five winners have read and reviewed it on the Goodreads site. ... I started running in August, and have recently decided that I want to work towards running a marathon. Since graduating high school, where I ran cross country, I haven't run a race of any length, and even those were only 3 mile races. Honestly, I am so far from 100km I was worried that the book would not pertain to me at all, but I was interested in what would motivate someone to go that distance. I was pleasantly surprised to find that this book has a lot of reasons that apply to why someone should get out and run a race, any race. I do recommend this book, and as my 10km, half marathon and marathon approach, I plan on reading it again for the quotes and wisdom and the motivation that it does provide. If you are looking for a book to motivate you to run and to give quotes and anecdotes to do so, and can look past the format and the somewhat repetitive reasons, then this book is for you. ...I must say I love the 'idea' of running and would like to be able to run at least a 1/2 marathon one day (I'm not getting any younger, so I"d better literally get moving!) so I'm hoping this will give me the needed motivation. Just finished it and it was good. Great tips and even a runner's ultra checklist at the back of the book. I'm pretty sure I will never run a 100km but walking it in a few days or with a team sounds intriguing. Great little motivator. I won this book on a good reads giveaway and since I finished I have started my journey to run a marathon. 100K is still a ways off but this book is a great inspiration to those who run or want to begin running. If you'd like a chance to win one of two free copies of From my Mother, a novel, please enter the Goodreads Book Giveaway until December 15 (US addresses only). Giveaway ends December 15, 2011. As the sky looked somewhat threatening, Mom and I set out for another ride/run this morning. This time we followed a beautiful quiet path along a canal called De Lage Vaart. It takes less than a kilometre to get onto this path, which we followed for about 5km. Then we turned right for a few hundred metres, and back along a quiet road called the Wisentweg. There are several farms and a brewery along this road. There's also the Warmonderhof, which offers a four-year study in bio-dynamic farming and gardening. We had planned our route so that this time we had a tailwind on the way home. Aside from a few drops, we were lucky that the rain stayed away. We could see the dark purple clouds move away from us with the expansive views the polder offers. We got home shortly after an hour, taking my mom's riding volume to 30km in the two sessions we did in three days. "Don't make it sound as if I am that sporty," she said when I told her about this post. I am still at my parents' in the Netherlands. At Sunday breakfast my mom asked how far I planned to run that day. So I told her 90 minutes, or about 18km. She surprised me by saying she wanted to come with me by bike. My mom is 71. Like my dad, she is fit and active though her knees have curtailed her walking. These days she takes her bike to walk their dog Thara, who gets four outings a day. Mom rugged up in a big jacket from Nike (where my sister worked for 13-odd years), a fleece from Whistler and a pair of comfy jeans, and we set out for our run/ride toward Kampen. It was a beautiful winter day, last month was the driest since official record keeping began in 1906, according to the NOS. An average total of 9 millimetres fell in November 2011, compared with a usual 82mm. A year ago, the Netherlands was covered in a layer of snow. We both enjoyed the ride, though on the way out the tailwind made sure I had to work hard to make sure she wouldn't have to ride too slow. It didn't seem like a particularly windy day, but the polder always surprises once you turn around; there's a good reason for the hundreds of modern windmills that mark its skyline. We turned around at the same point as I did on my own a week ago, having reached it about 3 minutes sooner, and began the trip home. Now the wind levelled our pace. We chatted about everything and nothing, and arrived back home both happy with a great joined workout. I hope she'll join me on another, shorter, of my runs this week if the weather allows. Then I'll make sure to get a picture. Our run/ride brought my weekly mileage to about 50-52km, on track for the week as I slowly increase my mileage to start a daily running program on January 1. The following day, Monday, was a rest day in terms of running. The thought crossed my mind that I will not have any soon, so I made sure to enjoy it. After we had breakfast, I joined my dad for the morning walk with Thara, their bearded collie. My dad, who is turning 70 this year, does most of the dog walking and covers at least 10km a day every day. That's at least 70km a week. As we circled through the Wisentbos (the place where I got lost in thick fog the day after touching down in the Netherlands) we ran into most of the people and their dogs he comes across. Thara is six, turning seven this month. This lovely gentle dog with a mop of blonde hair has been trained well by my parents. Rarely on leash on her outings, my parents have taught her to stop and sit at every road and bike path crossing. She'll race ahead but wait until my parents catch up to her and reward her obedience with a small doggy biscuit. On the various routes my parents (dad in particular) reward her at the same, though not each, crossing every time. Wow, November has been a crazy month. It included a 50-mile ultramarathon, a visitor from Australia, and a trip to the Netherlands, where I still am for another couple of weeks. After starting on a couple of fiction ideas, both titled Sub-3 Marathon and totalling nearly 18,000-odd words, and getting stuck I decided to use the time to work on a nonfiction draft instead. In other words, I became a NaNoWriMo rebel. The good news is that I did complete a first draft of 50,000-odd words so the main goal is accomplished. And I am glad I did. At the end of the day, the purpose of the challenge is to write. I write a lot, especially between books when I have plenty of ideas but not yet a clear focus for the next work. It's in some ways a frustrating time as I will myself to produce but wonder how much progress I am making as I feel my way around the various topics and ideas. In the past month I wanted to do too much too well too soon. I wasn't able to let myself write without judgement. Instead, I spent time researching the processes of novel writing such as in Elizabethe George's Write Away: One Novelist's Approach to Fiction Writing and James Smith's You Can Write a Novel, which has been helpful. Like in running, the process of writing is an ever-evolving one as the author finetunes what works best for her, helping her to get the best out of herself and adjusting as she goes along. In 2010, the process of simply writing with a focus on quantity worked for me, resulting in my first novel From my Mother. I had a much better idea of what I wanted to write, even though I wasn't aware of it until it was there on the screen in front of me. This time, I was searching and still trying to distill what it was I wanted to say. I think I got a few steps closer because of NaNoWriMo, it just wasn't in the form of a novel this time. Now that NaNoWriMo is doing, I have the freedom and agony of choice; which manuscript to commit to next. It's time to focus. I think my 2011 NaNoWriMo rebel effort needs some time to hang out quietly on the hard drive, before I'll get back to it later. Since I am in the Netherlands at the moment, the country where I was born and raised, I am once again drawn to the idea of writing a book in my mother tongue. I must admit though that these days I am much more comfortable in English, even as I am still fluent in Dutch. It's like using a muscle you haven't used in a while. You still remember exactly how it's done but it feels a little awkward at first as the muscle needs to remember what it used to do. Likewise, my Dutch needs some warming up before it feels supple again. My thoughts are in English, and have been for at least eight years, and my main mode of communication in writing and speech have been in English for 15 years now. At the same time, I think that is exactly what will make using the language again fresh and exciting. Aside from articles for a university magazine and some poetry (and of course some diaries) more than 20 years ago, I've not written in my mother tongue - certainly not professionally. But I think I am ready for the challenge. I am thinking, naturally, a book on running in general and marathon running in particular, with a sprinkling of ultras. Of course I am checking out what has been written so far. Like elsewhere, running is a popular topic for Dutch writers too. I'll try to get a hold of a few titles through the local library such as Jan Knippenberg's De Mens als Duurloper, Abdelkader Benali's De Marathonloper and De Zandloper, and Paul Rosenmuller's Ik loop dus ik besta. The last time I was in the Netherlands, in April 2010, I began on a Dutch manuscript too. But once back in Canada, I found it too hard to continue. I think it will be different this time as I am also preparing to start my first translation project: creating a Dutch edition of Tim Moore's Sub Nine: History's Fastest Ironwomen. It's great to spend time with my parents in the Netherlands. Both are creative and always working on something. My dad's passion is creating furniture from oak wood. For my mom, her creativity in the past six years has focused on making silver jewelry. She's taking weekly classes at the local arts and culture centre from Marjolein van Lubeck. I am a lucky recipient of my mom's beautiful pieces. Most recently she made a modern heart pendant and brooch. She has also rekindled her knitting; her productivity astounds me. Earlier this year she knitted a stunning long bottle-green vest for me. In the past few months she also made beautiful purses for herself, my sister and I. Knitted from a jersey fabric, she finished them with a handle and decorative pin. Our parents' creativity has rubbed off on my sister and I. Before my sister moved to Turkey, and now Canada, she took the same jewelry-making classes with my mom and made stunning pieces. She's getting ready to resume her silversmithing soon in Vancouver. My mom taught me the basics of knitting when I was a girl. In highschool it was a cool thing to do. I remember my three girlfriends and I knitting during Dutch literature classes, with the (male) teacher's approval though subject to much teasing from the boys. In university I did some basic sewing, using a fabulous forest green soft velvet. The outfit included a long sweater with a big wide collar and long cuffs, a mini-skirt and a loose-fitting legging. It was simple, easy. I didn't follow a pattern. The result got plenty of wear, often mixed with a vintage jacket that I think belonged to my dad at one point, a beige lace blouse and scarfs, combined with dark brown suede high-heeled boots. I love earthy tones. Among my family I am not known for being patient or skilled in working with my hands. I always thought that indeed patience was not among my traits but running has helped me discover I have plenty of it. I just need to start off at a level that isn't too advanced and work on projects that suit my temperament and disposition. For some reason, I felt like knitting when we moved to Canada four years ago. Perhaps it was the revival of the craft. The cold winters, compared with those in Australia where we had spent the previous seven years, no doubt also helped that motivation. But I had completely forgotten how to steken opzetten, i.e. cast on, and asked my mom for help. She sent me a booklet on how to do it but it wasn't until my parents came to visit Squamish for the first time three years ago that I made a start. My mom and I both got some wool, and got knitting as my mom re-taught me how to get started. The other basics - knitting, purling, cast off, and slipping - my hands remembered. I used a super bulky wool, a wine-red Red Heart Light & Lofty , that called for big needles (10, or a US 15), which means it doesn't take long to make progress. The simple stocking stitch is a very easy and relaxing way to knit row after row. In that regard knitting reminds me of running; the soothing rhythm of both activities are very relaxing, meditative. There's a simple focus, too, step after step, and stitch after stitch. Since we were doing plenty of sightseeing with my parents, I didn't finish the pieces of my sweater (no pattern of course) until after my parents left. When I put the front and back together, pleased with the progress, I didn't realize until it was too late that in my enthusiasm I had sewed the armholes together. Oops. The thick and hairy wool made it impossible to undo the damage. So I went back to the store to get yarn and started from scratch. This time I made sure to pay attention to the armholes, and finished it. Incidentally, the pendant I am wearing with this sweater my mom made as well. She created a beautiful silver setting for this oval piece of agate. As I said, her productivity is amazing. The arms are a little long, but other than that, it works. The yarn (100% acrylic) is soft, beautiful and warm. And did I mention it takes no time at all to do this? Next I used the same yarn to knit blankets - also plain stocking stitches - for my grandmother (blue sand) and one for Tim's mom (a gorgeous green called pine). Next I got more of the blue sand, and knitted a front and back last winter, this time using a moss stitch. I didn't quite get around to the sleeves but thought I'd bring the yarn to the Netherlands so I could finish it here. My mom is knitting a beautifully complicated beige sweater with plenty of cables so I joined her with my basic project and finished the two sleeves in the past couple of days. Now I need to do my least favourite part, which is sewing the parts together. My mom suggested I knit the collar with four needles on the finished product so that there's no seam. I have no idea how that works but am keen to learn. Meantime, she showed me how to do cables (there are a million variations of those) and encouraged me to do something a little more advanced. She took me to the attic to find a pattern and to see if there was any leftover yarn I could use for a project. We found a pattern for a very cute short bolero jacket and beige wool with history. The yarn we decided to use is a gorgeous beige that was originally used in a hoody my mom had knitted for me when I was 10 or so. Very cool to reuse it into a piece now. I'll dig up a photo of the previous sweater which I loved. The bolero jacket is knitted in one piece, so there's a lot of increasing and decreasing of stitches, as well as casting off parts while you keep going with the remainder. But it's a plain stocking stitch. As mom helped me figure out how to get started yesterday afternoon, I made it halfway last night. So far so good!